Diesel and biodiesel engine exhaust gas contains many constituents that are considered harmful to humans. 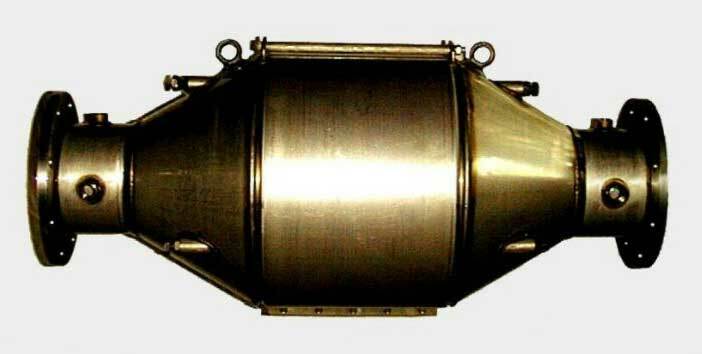 Our high quality diesel catalytic converters (diesel exhaust gas purifiers) are designed and specially formulated to remove or reduce the harmful components while keeping pressure drop to a minimum. Our standard units can provide over 90% reduction in carbon monoxide (CO) emissions, plus high reduction levels of unburned hydrocarbons (UHC), aldehydes (the odor causing component in diesel exhaust), as well as diesel particulate matter (DPM). Higher reduction levels are possible depending upon engine operating conditions and with custom configured units. Our pre-engineered converters are available in various sizes and configurations. 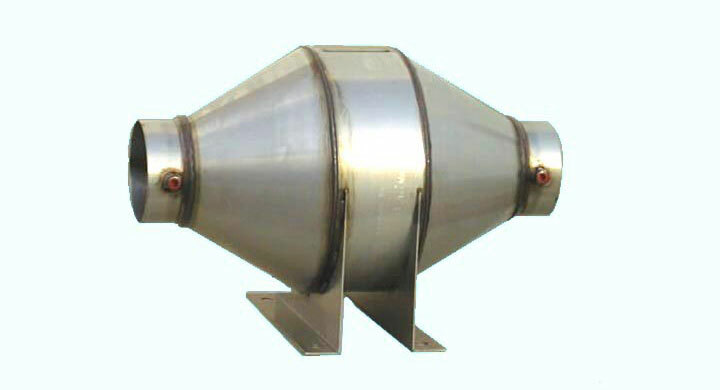 Converter housings are made of high grade 304 stainless steel. Inlet and outlet connections are available with flanged connections, as well as straight tube and slotted tube connections. The heart of the converter is our flow-through honeycomb substrate that is coated with a high surface area, poison resistant washcoat and a high activity, precious metal-based oxidation catalyst coating. While our standard units are manufactured with a stainless steel honeycomb substrate, we also offer ceramic honeycomb as an alternative. The correct converter (purifier) size will vary depending upon many factors including engine size, exhaust temperature, allowable pressure drop, required emissions reductions and engine duty cycle. The table below notes some of our standard, single layer, units; however, custom designs are available upon request. All data is illustrative and subject to change without notice.